NVIDIA today at the CES 2017 introduced a new SHIELD console. It is powered by NVIDIA Tegra X1 processor with 256-core Maxwell architecture GPU, 64-bit CPU, has 3GB RAM and runs on Android 7.0 (Nougat) powered by Android TV. GeForce NOW game-streaming service delivers Pascal-powered GPU performance, from the cloud, to SHIELD users. It also has 4K HDR support for Netflix, YouTube, Google Play Movies and VUDU. NVIDIA GameStream smooth, ultra-low latency streaming technology – lets GeForce gamers cast their library of games to SHIELD. It now brings vibrant 4K HDR streaming at up to 60 frames per second. Its library of games has been expanded to thousands of titles, with the ability coming soon to stream Ubisoft’s catalog of hits, including Watch Dogs 2, Assassin’s Creed Syndicate, For Honor and countless others. 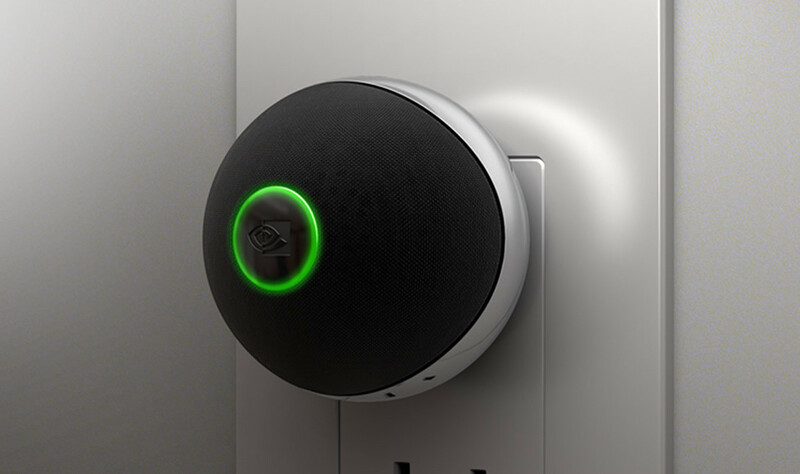 NVIDIA also introduced SHIELD SPOT, an AI mic accessory to communicate with the SHIELD and control smart home from anywhere. You can Turn off the lights, change the temperature, set alarms and more. It plugs directly into the wall. Because the computing is done on SHIELD, you can have them installed over the house. It has far field microphones. 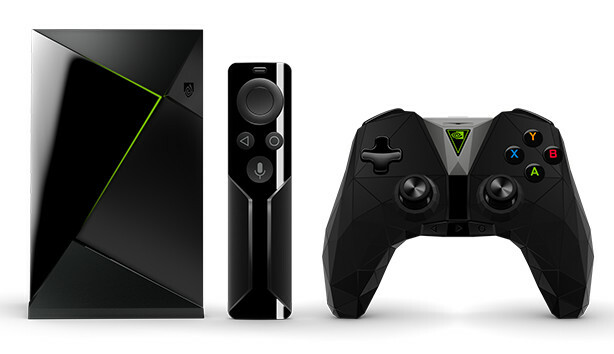 The new NVIDIA SHIELD TV priced at $199.99 (Rs. 13,580 approx. ), including controller and remote, is available for pre-order now and will ship in the United States, Canada and select European regions later this month. 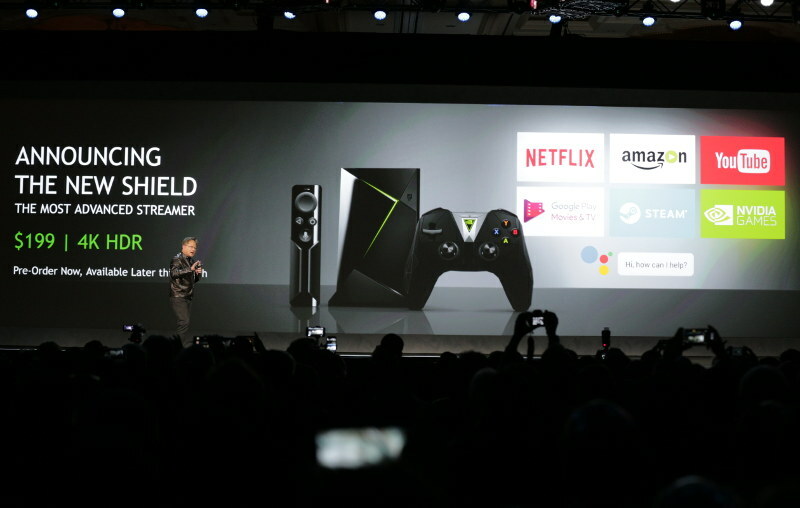 SHIELD Pro will also be available later this month with controller, remote with headset jack and 500GB of storage. The NVIDIA SPOT mic accessory for SHIELD will be available in coming months for $49.99 (Rs. 3395 approx. ).